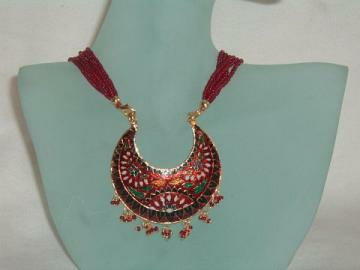 Beautiful handmade mina work Rajasthani necklace. The adjustable bead necklace consists of a beautiful minakari pendant in red, black, green, blue, yellow & white color with traditional Rajasthani motif hand-painted on it. 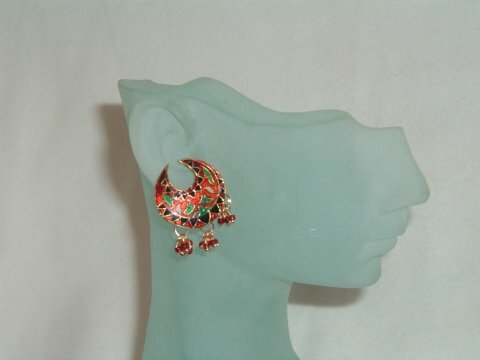 The jewelry comes in a red and gold box. 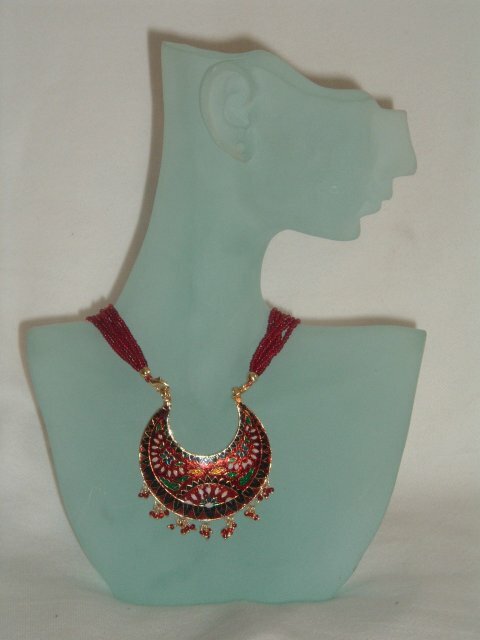 This item in Traditional Necklace Sets category was first added to our catalog on 11-01-2011. Buy Red Color Handmade Mina Work Rajasthani Necklace, sold & shipped by Abu Jewelry where you can shop online for Rajasthani Jewelry, Handmade Mina, Kundan & Thewa Indian Jewelry. This Necklace Sets collection has been tagged as Mina Work, Artwork, Indian Handicrafts, Ornaments, Fashion Jewelry, Indian Jewelry.